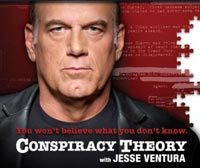 Jesse Ventura’s second season finale of “Conspiracy Theory” ended with an episode concerning what happened at the Pentagon on September 11, 2001. Among the many fraudulent claims made in the television program, Ventura included a segment dealing with the ridiculous claim that fake phone calls were made from aboard the hijacked planes that morning, further proposing the idea that the calls were actually created by voice morphing technology. Jesse Ventura called upon forensic audio expert Kent Gibson for a demonstration of voice morphing technology during the show. I had a conversation with Kent concerning his appearance on Ventura’s show. Mr. Gibson had some very interesting things to say about the fake calls claim, Jesse Ventura and his Conspiracy Theory show.